We’re excited to announce our partnership with Georgia HEART in an effort to support rural hospitals throughout the state. We’re working together to increase hospital funding while improving access to healthcare for thousands of Georgians. So, where do Georgia taxpayers fall into the mix? 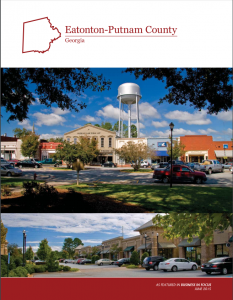 Beginning January 1, 2017, Georgia taxpayers will have the opportunity to make a charitable donation to a qualified rural hospital of their choosing. Not only do contributors get to pick from a number of hospitals, but they are also in control of how their money will be spent. Once the donation has been made, taxpayers will receive a state income tax credit for 70 percent of the amount of the contribution. In addition, those who itemize their deductions will be able to take a charitable income tax deduction on their federal income tax returns. For more information on the Georgia HEART Hospital Program, visit www.georgiaheart.org .